As the managing partner of the Atlanta office, Bert Brannen mentors attorneys in the Atlanta office and helps them serve the Firm’s clients. Bert advises employers on a wide variety of union-related matters and assists them with the administration, negotiation, mediation and arbitration of collective bargaining agreements. He also counsels employers who want to remain union-free with training, preventive strategies and counter-organizing educational campaigns. Bert helps employers avoid workplace crises, comply with all applicable laws and prevent litigation. As part of his preventive practice, he prepares and reviews documents associated with the employment experience, including employee handbooks, employment contracts, restrictive covenants, ethics and confidentiality agreements, non-competition or non-solicitation agreements, and severance agreements. The esteemed College of Labor and Employment Lawyers admitted Bert in 2015. He is "AV" Peer Review Rated by Martindale-Hubbell and has been included in Georgia Super Lawyers since 2005. 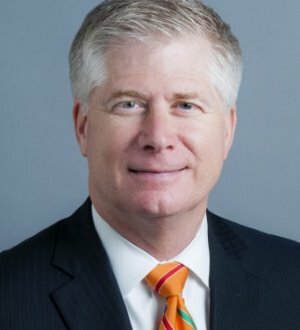 He has been listed in The Best Lawyers in America since 2010 and has been recognized as a member of Georgia's "Legal Elite." Numerous publications have published Bert’s articles on a wide variety of employment law subjects. He regularly speaks to business and professional associations, industry groups and individual employers. Furthermore, he was a member of the 2010 Employment Law360 editorial advisory board. He has taught labor and employment law at Georgia Institute of Technology since 2002. Bert is the former Chairman of the Labor and Employment Law Section of the State Bar of Georgia. He still serves the Bar as a board member on the Labor and Employment Section’s mentoring program for new lawyers. He is a member of the Lawyers Club of Atlanta, the Old Warhorse Lawyers Club and the Piedmont Driving Club. Bert serves our community by doing pro bono work for the Good Samaritan Health Center and the William Breman Jewish Heritage Museum. Travel, running, biking, whitewater rafting and time with his family are among Bert’s favorite outside interests.